We can't give away too many Lugz sneakers and boots.Here's another chance. This one is winner's choice on a pair of sneakers. Open to US residents only though 5/22 midnight PDT. Good luck. Not only are these Lugz Seabrook Sneakers well made.... they are downright adorable! And since they come in a variety of colors, they will cordinate with just about any piece in your wordrobe. These sneakers are the answer to having a comfortable, stylish, and durable option to slip on before you head out the door. 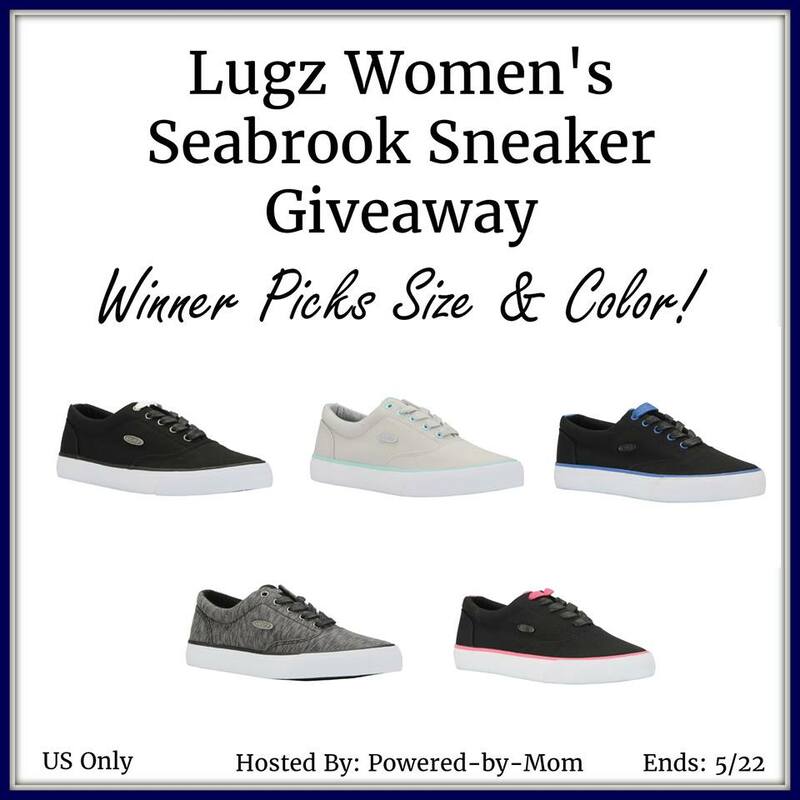 One Powered-by-Mom reader will win a FREE pair of Lugz Women's Seabrook Sneaker! Winner picks the size and color. 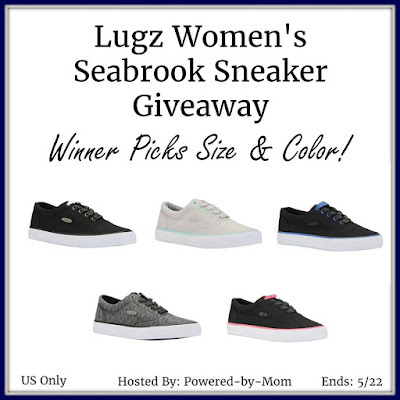 You can go HERE and see what Powered by Mom writer, Amanda, thought of Lugz Women's Seabrook Sneakers! I want to win because my kids always came 1st. Now,that their grown,I'd like to have something new. i want to win because i never get anything new for myself! ever!